Sometimes after dinner I just want something sweet. My snack of choice lately has been a pack of fruit snacks. They are small, sweet, and are just enough to curb my craving. However, there are some days when I want something more. On those days I almost always want a cookie after dinner and since I’m a baker I usually end up baking a batch on the spot! Usually when it comes to “on the spot” cookies I go with chocolate chip. 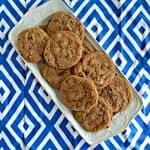 I always have the ingredients for chocolate chip cookies in my kitchen so I know it’s something I can bake. But every once in a while I’m just not feeling chocolate. I know that’s hard to believe but there are days when I want something different and one of those days was last week. I was sitting on the couch after dinner thinking about cookies. The problem was that I didn’t want a chocolate chip cookie but I wasn’t sure what else I could make. I grabbed my recipe folder stuffed full of recipes I’ve cut out of magazines. What? You don’t have a recipe folder? That’s just sad. My recipe folder is purple and it’s stuffed full and kept in my desk for safe keeping. 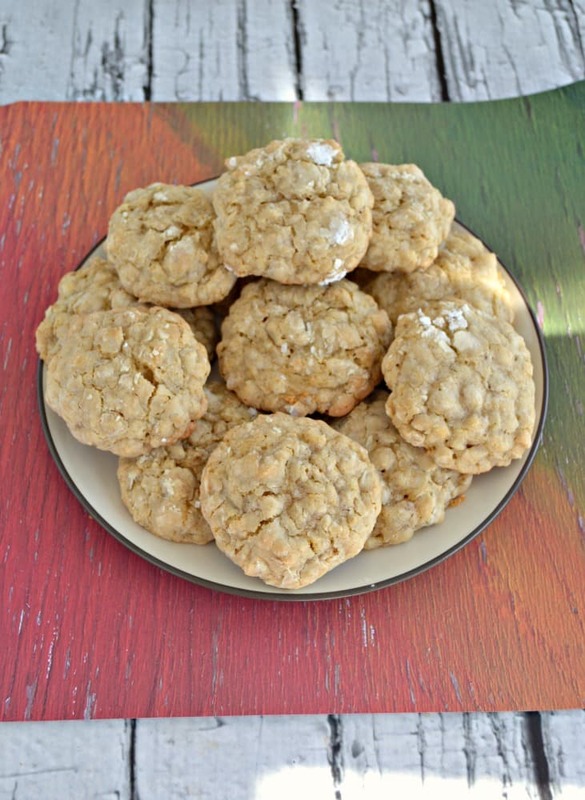 The first recipe I came to that sounded delicious was one for Grandma’s Oatmeal Cookies. I almost passed it up thinking that there were raisins in them and I knew that I didn’t have any raisins. After giving a quick glance at the recipe I realized that the cookies didn’t have raisins in them so I went into the kitchen to make sure that I had what I needed. I was super happy to see that I did. 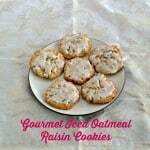 So what makes these cookies different from traditional oatmeal cookies? 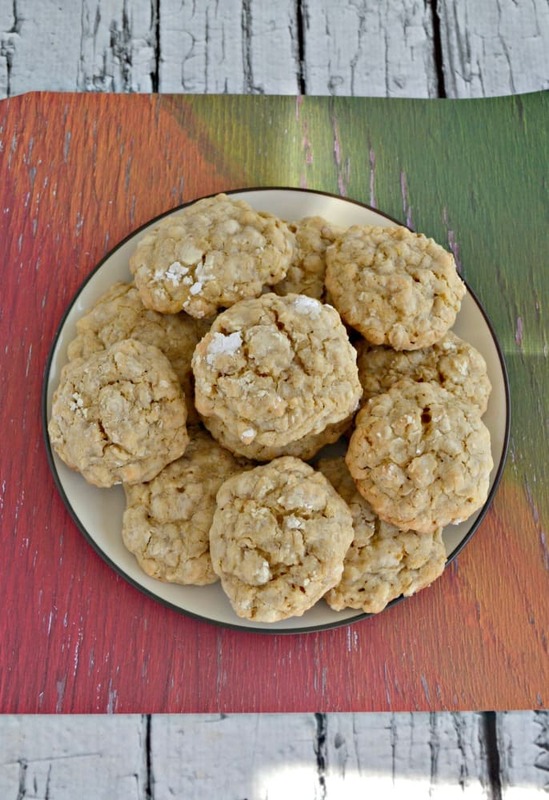 It’s a basic cookie recipe filled with oats and brown sugar. The thing that is a little bit different is that these cookies are rolled in powdered sugar before they are baked. This leads to a sweet coating on the outside while the inside is soft and delicious. These cookies are awesome! I loved how they were chewy and soft at the same time. 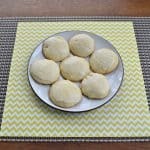 The powdered sugar left a nice, sweet coating on the cookies and they were so good warm from the oven. I could have probably gobbled up the entire tray myself but luckily I took them in to work the next day and shared with my friends. 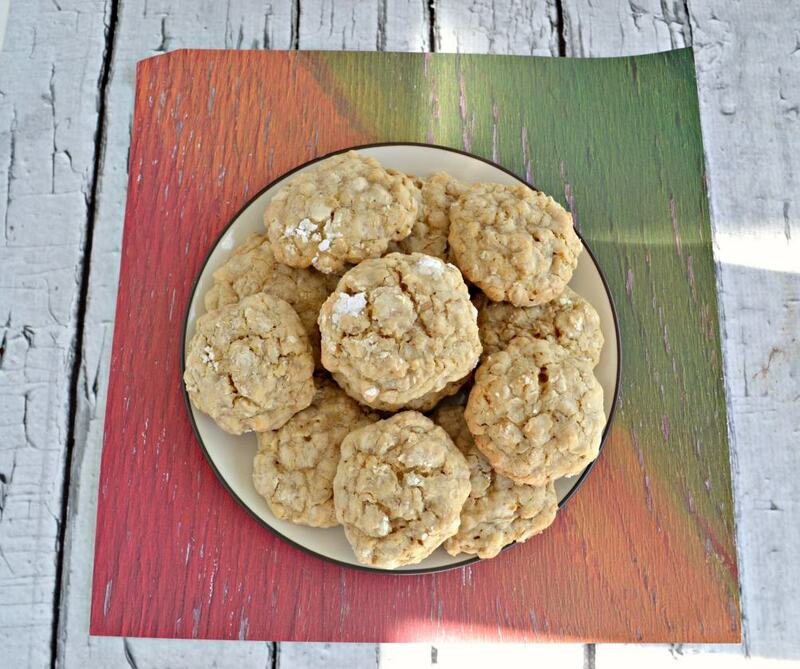 A soft and chewy oatmeal cookie rolled in powdered sugar for a sweet coating. In a large bowl combine the butter, brown sugar, and sugar. Mix until they are well combined. 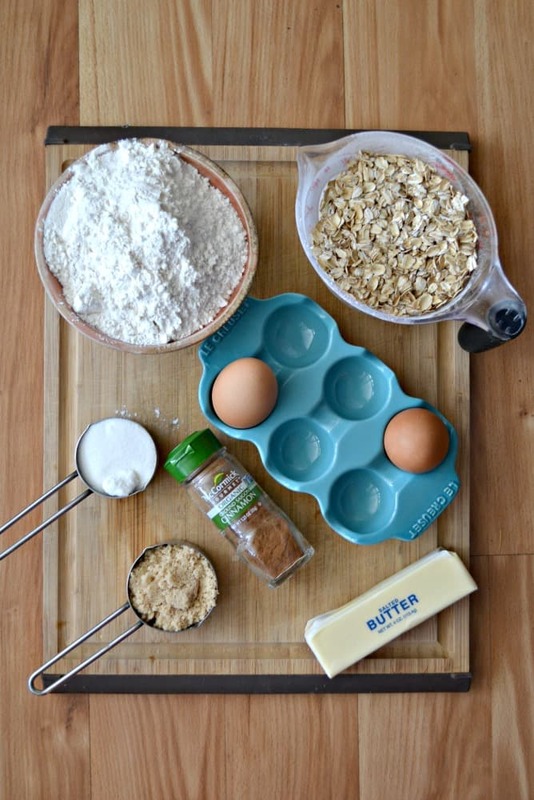 Add the flour, oats, cinnamon, nutmeg, sea salt, baking soda, and baking powder to the sugar mixture. Mix until just combined. Put the powdered sugar in a small bowl. Scoop and roll the dough into 1½ inch balls. Roll in the powdered sugar and place on a cookie sheet. Place 2-3 inches apart. Bake for 10-12 minutes or until golden brown and crackled. Let cool for 3 minutes on the baking sheet then remove to a wire rack to cool. 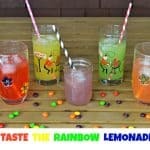 « Stoneridge Orchards Montmorency Tart Cherries Giveaway!